It started as a simple vision...to create a festival where the talents of artists from all walks of life could be showcased and celebrated. 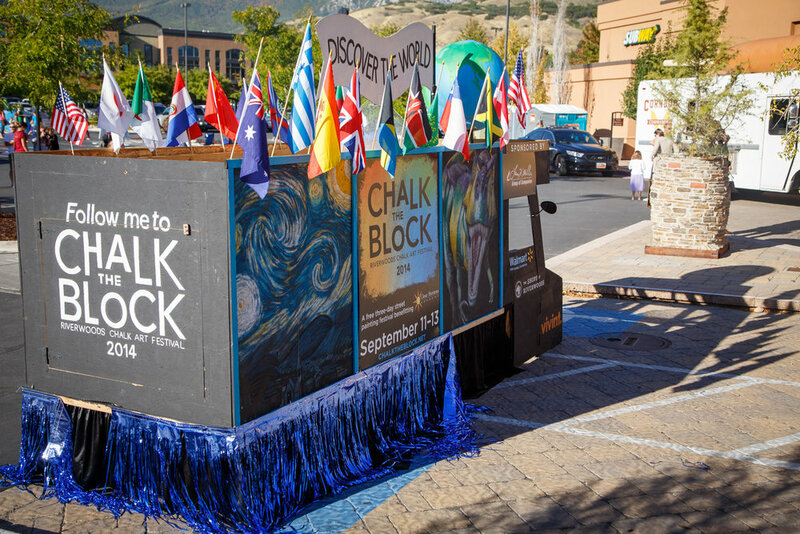 Since the first festival in 2012, Chalk the Block For Charity Utah has grown into one of the United States' premier chalk art festival bringing together a collection of local and national talent into an fun-filled environment that the whole family can enjoy. Find out more. Thank you for sign up for Chalk the Block Utah's email list! Come for the art...enjoy the entertainment! On Friday and Saturday evenings, the festival offers some world class entertainment with performances by local music groups that creates a dynamic energy. Local craftsmen also set up to showcase their handiwork using mediums such as leather, metal and glass. You don't want to miss out on this event! Our Chalk the Block Utah artists are the stars of the show! As such we do our best to make sure you have a fun, wonderful experience. All registered artists receive t-shirts, chalk and a complimentary lunch sponsored by Kneaders on Saturday. Spaces will fill up fast so we encourage you to register today! Early registration discounts are available through July 7, 2019.